Yes…I named the cat, “McGonagall”. Sue me. 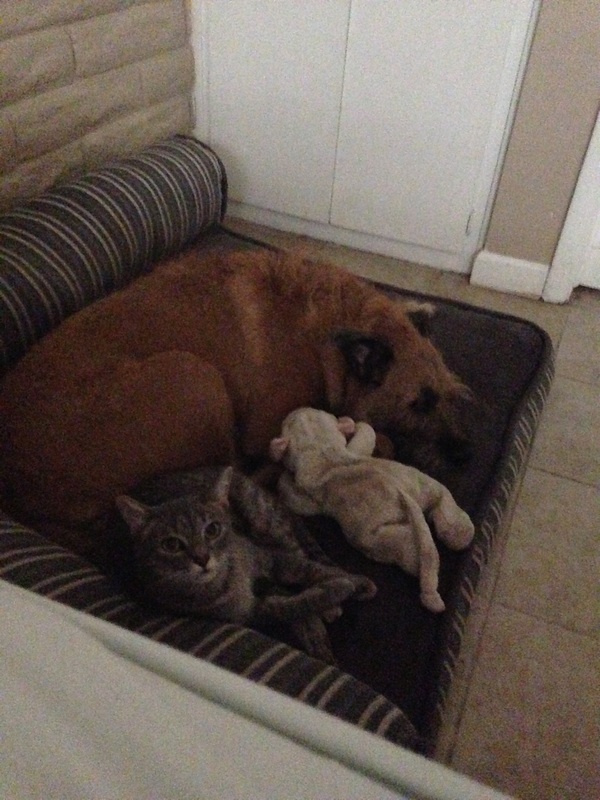 Me: I found McGonagall cuddling with the dog! Me: She took off before I could get it. Ryan: Of course she did. If those got out her rep would be ruined. Me: I’m going to get one eventually. I’m going to be more relentless than that paparazzi who got the pic of Bieber’s wiener. Ryan: I just read that and accidentally said ‘Bieber’s wiener’ out loud. Ryan: I’m just going to go ahead and quit my job, now. As long as the dogs name isn’t Dumbledore or Hagrid . . .
My sons (8 and 10) call our black dog Sirius enough that he answers to it even though it’s not his name. They are convinced he is a wizard. If Ryan says “Bieber’s weiner” three times it appears. That is the scariest thing anyone has ever said. Ever. Tell Ryan to be careful. Texting him as we speak. You never know where it will turn up. Voldemort would have lived had he used “Bieber’s wiener” to curse Harry Potter, instead of the boring Avada Kadavra. And can we agree that Bieber’s wiener is 100 times scarier than HeWhoMustNotBeNamed? It’s actually my daughter’s stuffed animal that he steals and then sleeps with. He’s crafty, that one. Sully’s a collector. Now he has a live cat to snuggle up with as well. I so did not need to hear about Bieber’s wiener as the first thing in the morning …eeks… but the picture made up for it. So cute!!! AWWW! See, I horrify you and then pacify you with kittens.